These brass Allstar Performance replacement petcocks feature a 1/4 in. NPT thread size and are designed to drain water from racing engines for storage or removal. 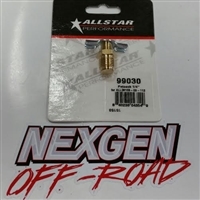 They're designed for use with Allstar Performance breather and overflow tanks. 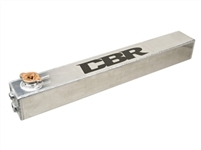 CBR's surge tank reduces the air pockets in your vehicle's cooling system to prevent high RPM water pump cavitation. 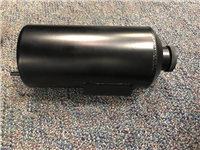 By mounting the the surge tank as the highest point in your cooling system, and connecting all high points to the tank with one line connected to an inlet of your radiator, the system creates a vacuum that collects the air bubbles in your cooling system. This air is then purged to an overflow tank. This allows your cooling system to be continually bled even at high engine RPM's. 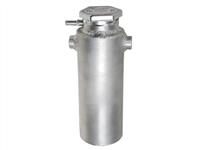 Recommended to use an overflow tank with the surge tank. 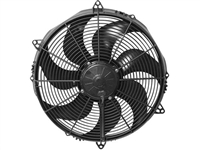 SPAL's most popular fan design offers the highest performance on the market today. A street rodder's dream--high airflow for low clearance applications. 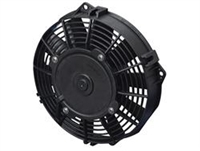 It is used as a primary cooling fan for many makes and models of today's automobiles. The motor is fully sealed and waterproof/dustproof. Each fan is individually balanced for long life. Curved blade design is also available for reduced noise. This horizontal design functions the same as the 1 quart tank version. This design enables you to mount the surge tank as high as possible or above your radiator. 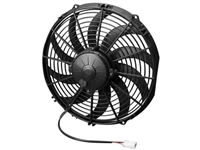 Notes: 12 volt high performance paddle fan.